Frederick Raikes was one of the oldest volunteers to join up. He was married, with five children, and working as a solicitor when the War began. At school he was a Junior Scholar and winner of the Heathcote Scholarship for Mathematics. He studied at Corpus Christi College, Oxford. There was something really heroic and yet typically English in F. M. Raikes’s offering his life for his country at an age when he might have stayed at home. “He had high ideals and a love of the beautiful in form and character, in nature and art and literature.” Again,” he joyed all physical effort which taxed his resourcefulness and endurance – if it involved hardship so much the better.” ‘I should like to find myself in a tight corner,’ he said on one occasion. 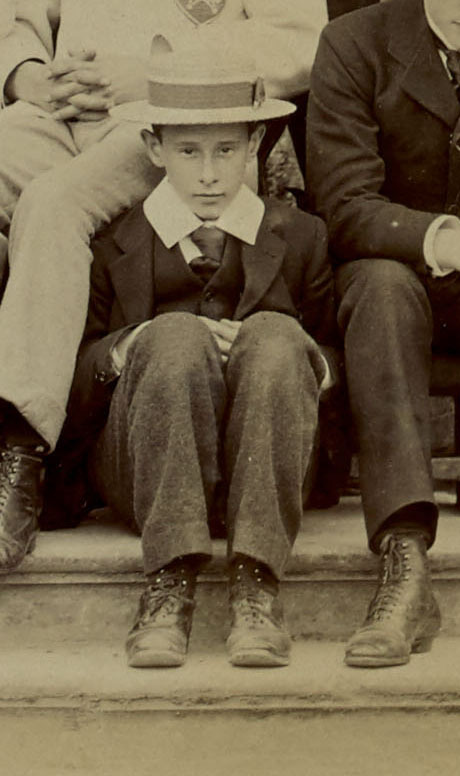 One of his friends writes, ‘Never was anyone so full of the spirit of right living and right enjoyment as he.’ Radley has a right to be proud of such a son. His eldest son was a boy at the school when he was killed. His death precipitated action on the War Memorial Scholarships Fund and his son was the first boy to receive aid from it. 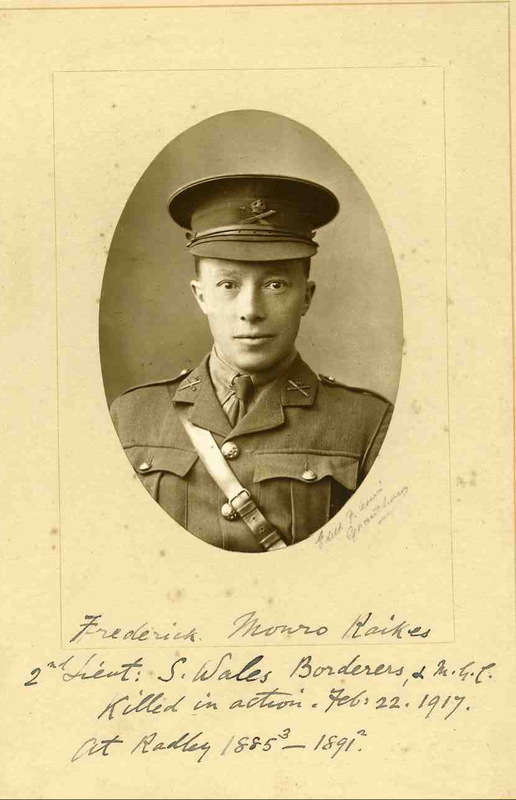 His nephew, John Raikes, considered Radley’s most promising mathematician, died on the Somme in 1916. Posted in Commemorating the Fallen of WW1 and tagged 2nd Battle of Kut-al-Amara, 2nd Lieutenant, D Social, killed in action, Middle East Campaign / Mesopotamia Campaign / Iraq / Egypt / Palestine on 22 February, 2017 by archives602. Posted in Commemorating the Fallen of WW1 and tagged 2nd Battle of Kut-al-Amara, B Social, Captain, killed in action, Middle East Campaign / Mesopotamia Campaign / Iraq / Egypt / Palestine, Schoolmaster on 3 February, 2017 by archives602.